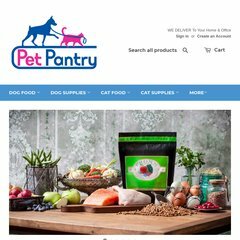 Petpantry is ranked 1,679,147 in Canada. Alabanza Inc (Massachusetts, Andover) is the location of the Apache/1 server. The programming language environment is PHP/4.4.4. ns2.fw2.com, & ns.fw2.com are its DNS Nameservers. PING www. (64.176.99.184) 56(84) bytes of data. A ping to the server is timed at 52.6 ms.